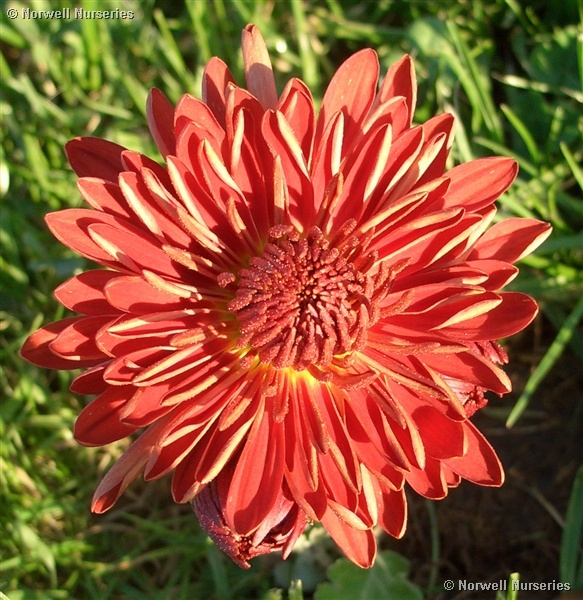 Chrysanthemum 'Chelsea Physic Garden' A rare and exceptionally good hardy Chrysanth. flowering late Oct well into Nov. with double red flowers the petals curve in slightly revealing a coppery back. Recommended, excellent performer. Sun, any soil. Has been grown for many years but Chelsea has no records of it being raised there. It could be C. Romany. Came thru winter of 2010.